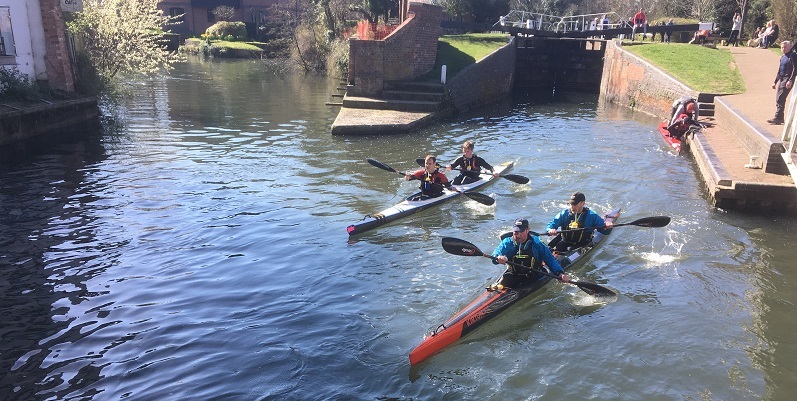 The third in the iconic Waterside series organised by Newbury Canoe Club, 23 miles from Pewsey to Newbury, together with the small matter of the Bruce Tunnel and 35 locks…. 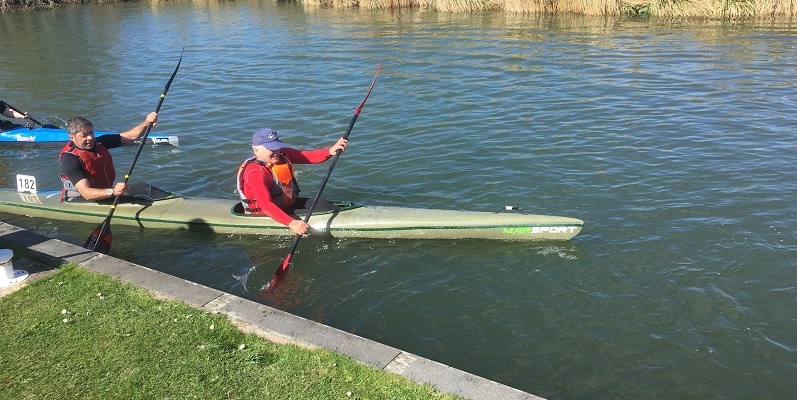 Another good contingent of Devizes paddlers out in the glorious spring sunshine on Sunday, and wondering about the truth of all those tales of frozen canals all the way to Wootton Rivers. Senior K2 Ed and Mike were 5th in 3.01.55. 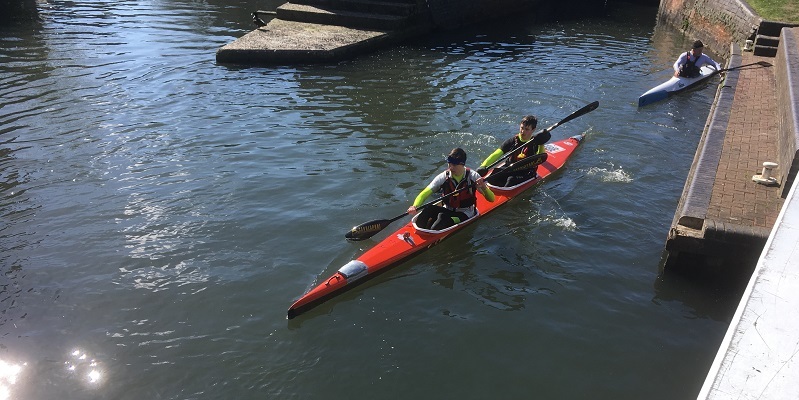 Mark and Steve cycled to Pewsey on the tandem as part of their “Epic Tri” training, then recorded 3.14.05 to finish 7th. 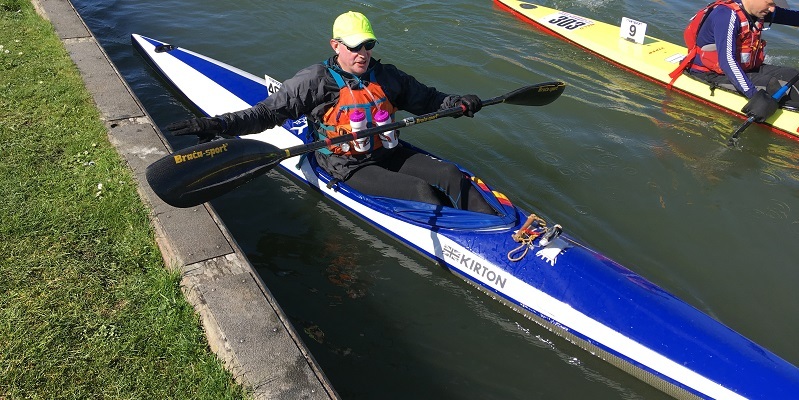 Veterans K2 Neil and Kevin were 8th in 3.40.12, this time beating Jonathan and Simon 11th in 3.48.50. Nick and Matt were 26th in 5.10.59. K2 Juniors Adam and JT were 3rd in 3.43.48, picking up a mug as their reward, and Josh and Finn 14th in 4.03.50. K2 Junior/vet Mae and Pete were 4th in 3.56.54. K1 Senior Ali was 11th in 3.39.40, and K1 Junior Charlie was 5th in 5.02.52. K1 Vet Andrew was 20th in 5.32.29. K2 Ladies Katherine and Claire were 8th in 4.47.32. C2 Dan and Rob were 11th in 4.20.56. 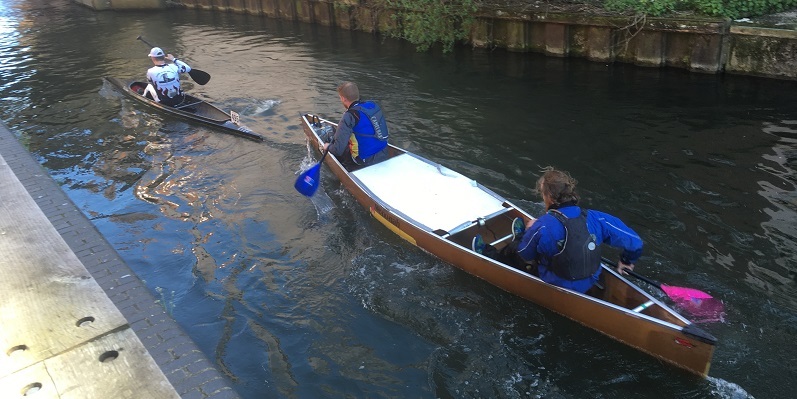 There were three pairs of Devizes paddlers paddling for Dauntseys School. 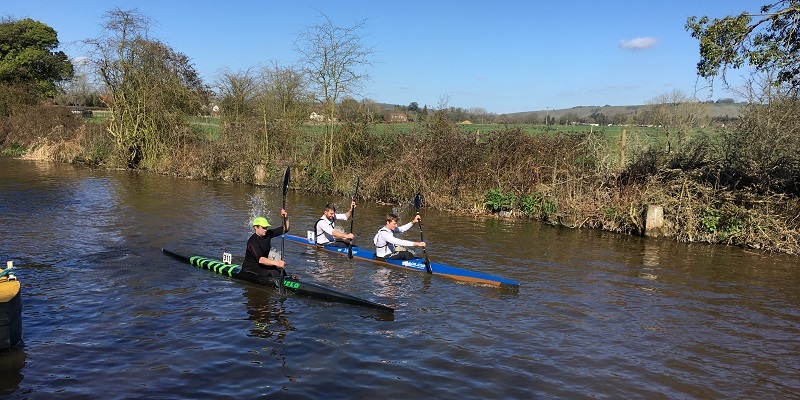 Algie and Tom were 35th in 4.42.18 (having had a broken rudder soon after the start) Alice and Liz were 2nd Junior Ladies K2 in 4.03.32 and Maddie and Poppy 3rd in 4.08.42. Next up, Waterside D in two weeks. Let’s hope the weather holds.